Alanna has been plagued by tragedy. So it should come as no surprise that in the beauty that surrounds Charleston, all is not as it seems. When her husband is killed by a car bomb while their band is on tour in Charleston, Alanna doesn’t know where to turn. Her father-in-law is threatening to take custody of the baby she carries, but the one thing she knows for sure is that she can’t lose the last piece of Liam she has left. Their manager offers her a marriage of convenience to gain her U.S. citizenship and allow her to escape her father-in-law’s control. It seems like the perfect solution . . . but her doubts begin almost as soon as she arrives at Barry’s family home, a decaying mansion surrounded by swamp. To make matters worse, Liam’s best friend survived the car bomb. She’s never really liked Jesse and now she can’t seem to get away from him. When he takes Liam’s place in their band, it’s almost more than she can bear. But then things start happening. Things that could easily cost Alanna her life—or the life of her unborn child. Are they merely coincidences? Or is there something much more sinister at work? 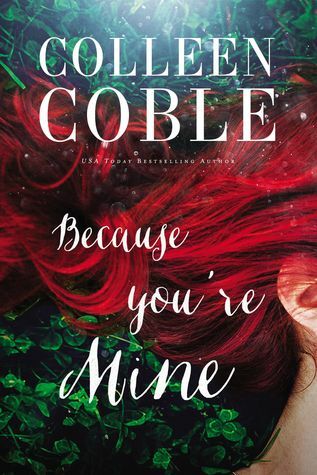 This is actually the first book I have read by Colleen Coble. She is such a popular author that it seems absurd, I know. But, here it is! My first Colleen Coble book ever. I really had no idea what to expect going into this book. I didn't really read the blurb very well so the whole book was sort of a surprise to me. I actually like it that way. 😀 I didn't expect the creepy sort of suspense I was feeling for most of this book. But I liked it! It was good for me because I don't like things too intense. Yes, the whole story was completely predictable. You can call the ending from almost the beginning when the bomb goes off, but I didn't mind that. I enjoyed the moments in the book where I felt the Irish brogue coming out. I also enjoyed the musical moments where the music transported the characters. It helped me connect to them and to the story. I wish there would have been more of that. I'm not so sure I loved Alanna. There were some inconsistencies in her character, I think. I would have liked to have seen more resolution between Alanna and her mother and Alanna and her in-laws. Overall a good book and a light read. Nothing to be taken too seriously. I liked it. 3/5 stars from me. Content: I guess this is supposed to be a Christian fiction book but I can't really remember much of that. There definitely wasn't anything overly preachy. It was clean- no swearing or sexual situations but there is some light innuendo and some moments of mild violence. - I received a copy of this book from the publisher. I was under no obligation to review and all opinions expressed are my own.